When it comes to celebrating the New Year's London is simply UNMATCHED by any other European capital. Whether you wished to treat yourself and love ones to memorable getaway rich in sightseeing and entertainment or making your New Year vows at the foot of Big Ben spearing into London's night skies lighting up with a display of stunning pyrotechnics this great metropolitan city will not fail any of your expectations. Early morning channel crossing onto the white Cliffs of Dover before continuing to London. Here a city sightseeing will feature London's best landmarks such as Trafalgar Sq., Piccadilly Circus, Buckingham Palace etc. ending at the Tower of London and Westminster Abbey. We will attended the changing of the guards if scheduled for that given day. Afternoon hotel check in and free time on your own leisure. This evening see your tour guide for evening outing suggestions before joining the cheerful crowds heading for best vista points across the Thames splendid fireworks. If we can go by the past year experiences, London outperforms any rival capital in welcoming the New Year and Big Ben waits all year long! 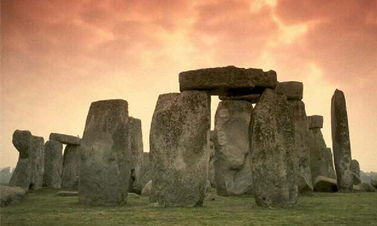 Enjoy another day at own leisure or else you may decide to join us on the excursions to Windsor Castle & Stonehenge. Enjoy a dinner theater outing, see your tour guide for assistance. Free time - Harry Potter Tour - New Year's Celebrations!! Discover the city at on your own leisure. Perhaps you'd like tp join us on a guided walking Harry Potter tour in the afternoon. This evening join the festivities throughout London and usher the New Year's with Europe most spectacular Fire Works! We then depart London for homeward journey. Morning to Midday return to points of origin. Trafalgar Square is home to one of the world's most famous New Year's Eve parties. Every year thousands of revelers pour into the square (and sometimes the fountains) to welcome the New Year to the sound of Big Ben's chimes. Trafalgar Square, at the heart of London, is one of the city’s most vibrant open spaces. Home to Nelson’s Column, the square is rich in history and provides a platform for new artistic performances and events. No visit to London would be complete without spending some time in Trafalgar Square. It is home not only to Nelson's Column but also to other statues and historic features. Kings, queens, statesmen and soldiers; poets, priests, heroes and villains - the Abbey is a must-see living pageant of British history.The abbey also serves as the burial ground for numerous politicians, sovereigns and artists. Some of the most famous are Charles Darwin, Sir Isaac Newton and David Livingstone. The Tower of London, founded by William the Conquerer in 1066-7, holds some of the most remarkable stories from across the centuries. Replicas of mighty siege weapons are positioned in the Moat. The famous Yeoman Warders have bloody tales to tell; stand where heads rolled and prisoners wept. Learn the stories of the Tower under attack and of the soldiers who defended it. Gaze up at the massive White Tower, tiptoe through a kings’ medieval bedchamber and marvel at the priceless Crown Jewels. Britain's most iconic shop features on many tourists’ “must-see” lists - and with good reason. “Omnia Omnibus Ubique” – “All Things, For All People, Everywhere” is the motto of this world-famous attraction. The mammoth store occupies a 4.5 acre site in London's boasts a phenomenal range of products from pianos and cooking pans to pets and perfumery. A visit best for Dior to Dolce, fashion and food, sales, selection and celebrity. Joined by a local guide see the famous attractions of London such as the Buckingham Palace, Big Ben, London Bridge, St. Paul’s Cathedral, Madame Tussaud’s, Piccadilly Circus and other sites, depending on your route. For visitors of all age the Winter Wonderland is an exciting and festive experience in Hyde Park. Highlights include central London’s largest outdoor ice rink and Zippo’s Christmas Circus. Visitors can also find dozens of attractions in the Santa Land zone, including Winter Wonderland Wheel , the North Pole Slide and Gingerbread Sweetstore. More than 50 traditional-style chalets will be offering a range of handmade continental goods and hearty food hot drinks to warm up. Military personal can travel to the United Kingdom on ID card + leave form. All non US travelers must have a valid Passport and Visa as required for their country of citizen ship. For questions about Visa requirements & entry to certain countries that are not covered in the tour information on our web site please contact your orderly room and/ or Passport office for clarification.